Do you appreciate the art of styling, and the pleasant feeling of clarity it creates? 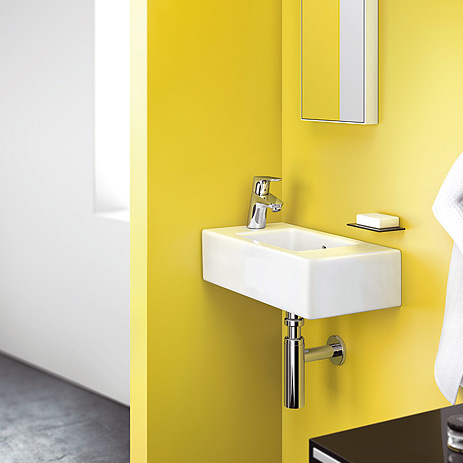 hansgrohe's Modern style mixers are elegantly discreet - offering you extra space for your own personalised ComfortZone. 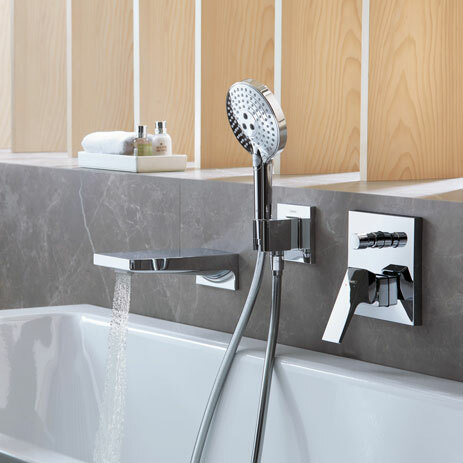 The mixer ranges create a sense of spaciousness in modern bathrooms and are available in a variety of spout heights, to meet all your requirements. Choose the one that's right for you. Find out more about our modern mixer ranges Metropol, Metris, Talis, Focus and Logis. Welcome to the hansgrohe’s “parallel world”. 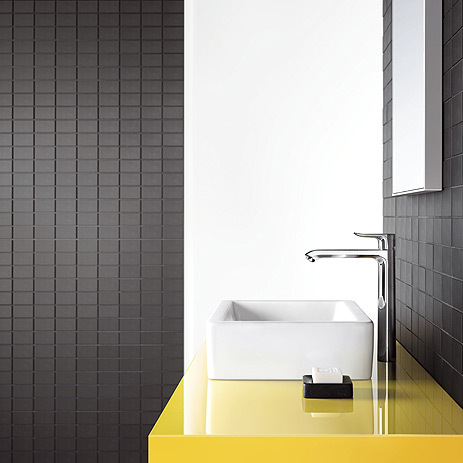 Discover the graceful charm that can be created with precise, geometric bathroom design. With mixers in three handle variants. Modern mixers for comfort at all levels. These mixers offer outstanding convenience on wash basins, in bath tubs and showers. Talis mixers are exceptional products offering ultimate convenience for wash basins, bath tubs and showers. Talis mixers feature Select technology, enabling the lever to disappear – form and function blend together elegantly, at the touch of a button. Extra convenience: some Talis mixers offer you even more space, thanks to their rotatable spouts. Modern mixers in a clear, two-dimensional design concept. These mixers create ample space on wash basins, in bath tubs and showers. 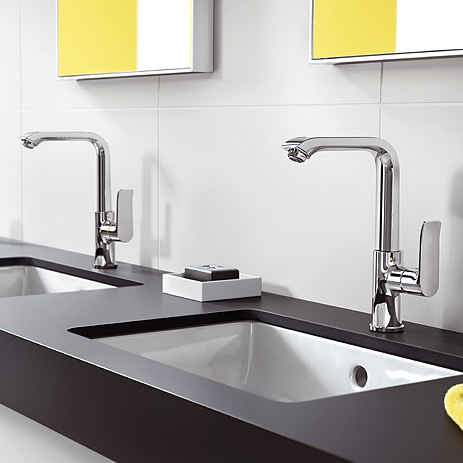 Through smooth shapes and clean lines, Novus mixers are ideal for any bathroom. High-quality mixers at a convincing price. 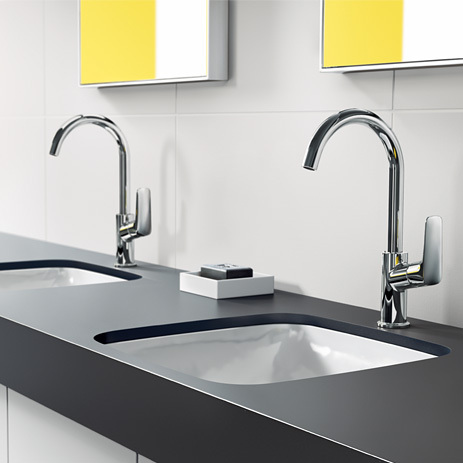 Elegantly-shaped mixers are perfect for modern bathrooms. 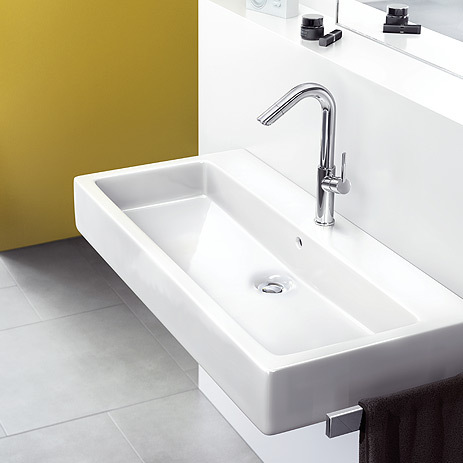 A variety of heights and models for wash basins, bath tubs and showers. 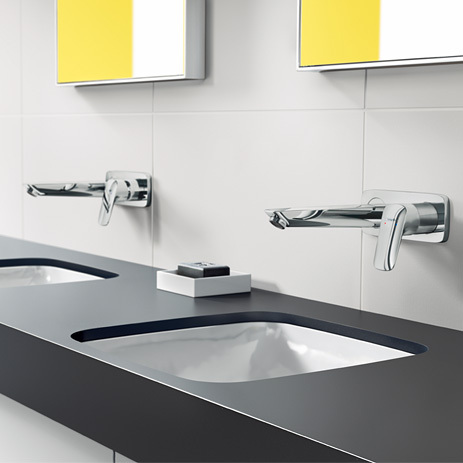 Here you will find accessories matching hansgrohe's Modern bathroom style: ranging from the high-quality glass lotion dispenser to soap dishes, right through to toothbrush tumblers. They also feature towel racks, roll holders and toilet brush holders.